The move to LNG as fuel in the maritime sector picks up steam, as CMA CGM announced plans to outfit nine of its new 22,000 TEU containerships with LNG fueled engines. 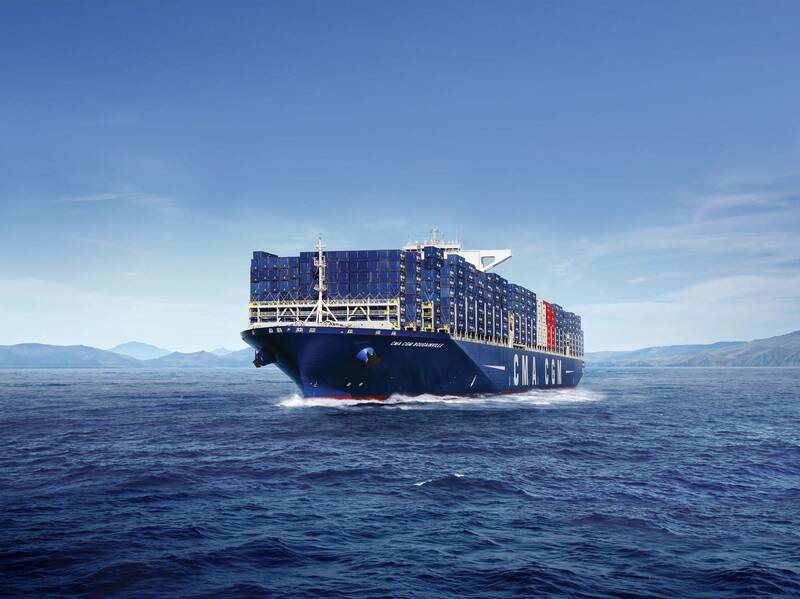 A trend that started in the United States is spreading to the world, as global containershipping giant CMA CGM announced its intention to outfit its series of new 22,000 TEU containerships with LNG-fueled engines. The move to ‘clean fuel’ in the maritime sector has been rapid, spurred by new rules from the International Maritime Organization set to enter force in 2020 which drastically reduces the amount of allowable sulfur in marine fuel. 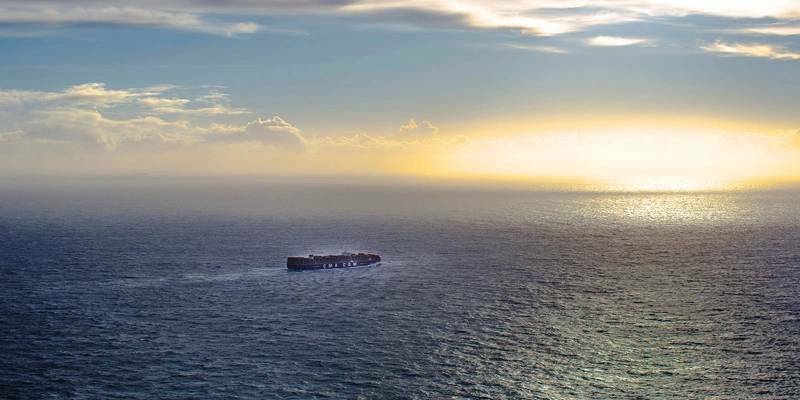 As ship owners mull options, the move by CMA CGM is a watershed moment in the large containership sector. TOTE Maritime made history when it ordered a pair of LNG-fueled containerships, the world’s first, which were built and delivered by General Dynamics NASSCO in San Diego. The ships, Isla Bella and Perla Del Caribe were delivered as a part of a two-ship contract signed in December 2012 with TOTE, making the 764-foot long Marlin Class containerships will be the largest dry cargo ships powered by LNG. The announcement from CMA CGM is significant as these will be the largest ships in the sector to sport the new technology. According to the ship owner, the project is not without challenges. 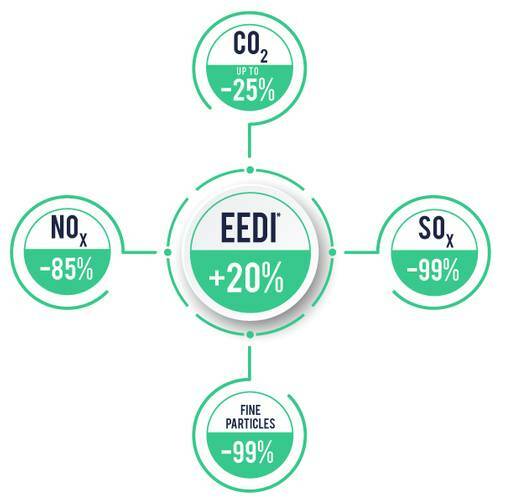 “LNG significantly reduces key emissions; it is the best available solution with 99% less sulfur emissions, 99% less particulate matters, 85% less nitrogen oxides emissions and up to 25% less CO2 emissions. The choice for LNG helps us comply with the regulations that will be in effect in 2020 but above all, we think that by choosing LNG, we will be ahead of future regulations as ongoing talks tend to prepare for more binding regulations in the future against polluting emissions and the need to use clean energies,” said Gérard. CMA CGM currently has 462 vessels calling on 420 ports on five continents, and it said that with LNG its Energy Efficiency Design Index (EEDI) which measures a ship’s environmental footprint is improved by 20% compared to ships only propelled by fuel oil. The move to LNG as fuel for ships of this size will require more than an investment in ships, also an investment – with port and LNG suppliers – in adapted infrastructure to support the initiative.